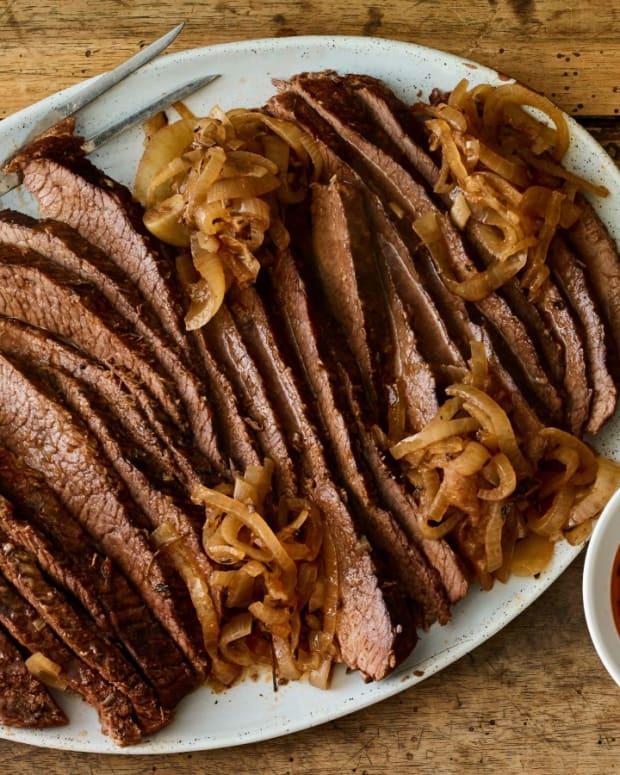 One of the best brisket recipes you are likely to try. The baharat spices and Israeli silan, wine and orange juice come together brilliantly. 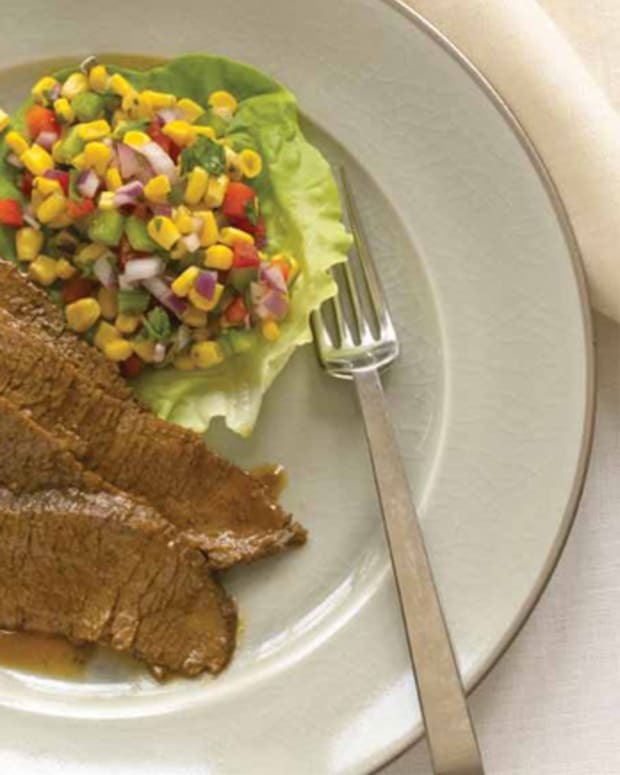 The low and slow cooking method makes all the difference when cooking brisket. 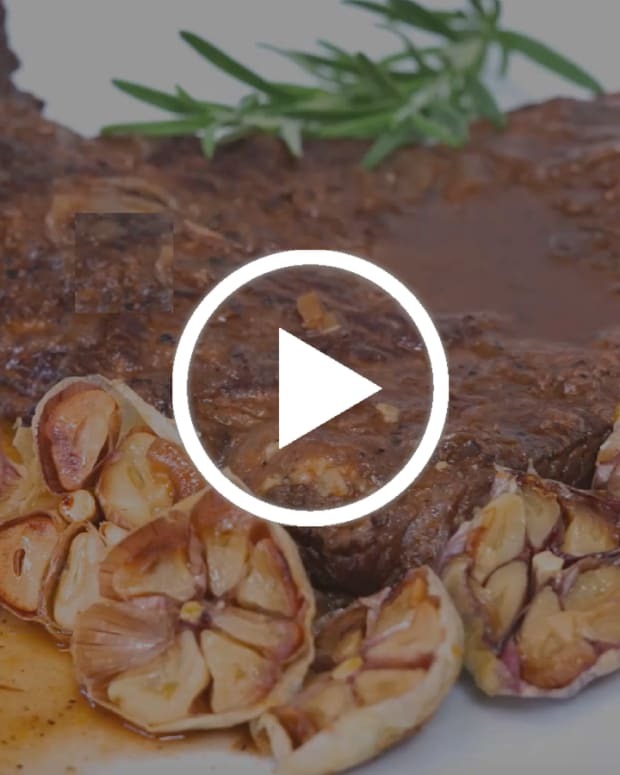 You can use whole brisket, first cut or second cut brisket for this recipe. First cut is leaner and second cut brisket is a bit fattier. 1. 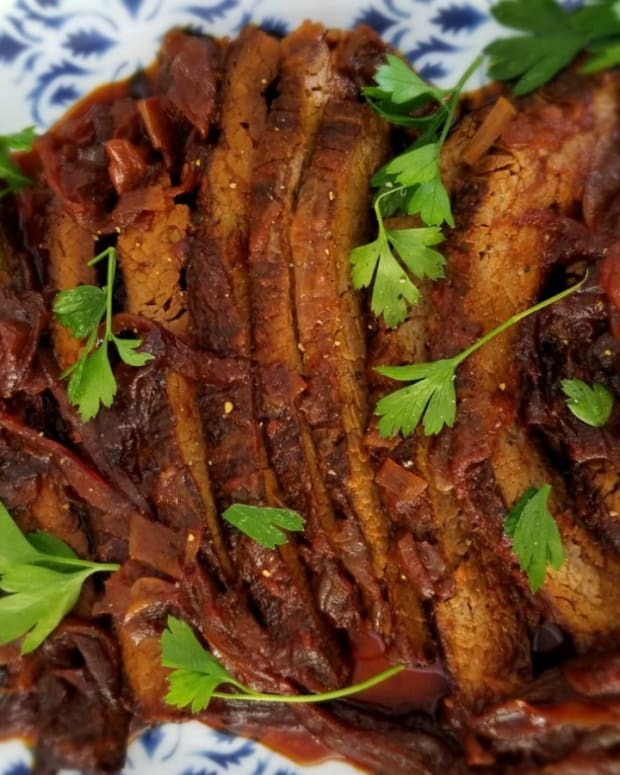 Season all sides of brisket with baharat. 2. Heat a large roasting pan, generously coated with evoo, over high heat. Sear brisket until dark brown and crusty. Turn over and sear the other side. 3. Remove brisket from pan and saute onions for 10 minutes, on medium heat until tender. Add the sliced garlic and saute an additional 2 minutes. 4. While onions are sauteing whisk together tomato paste, wine, orange juice and silan in a medium bowl. 5. 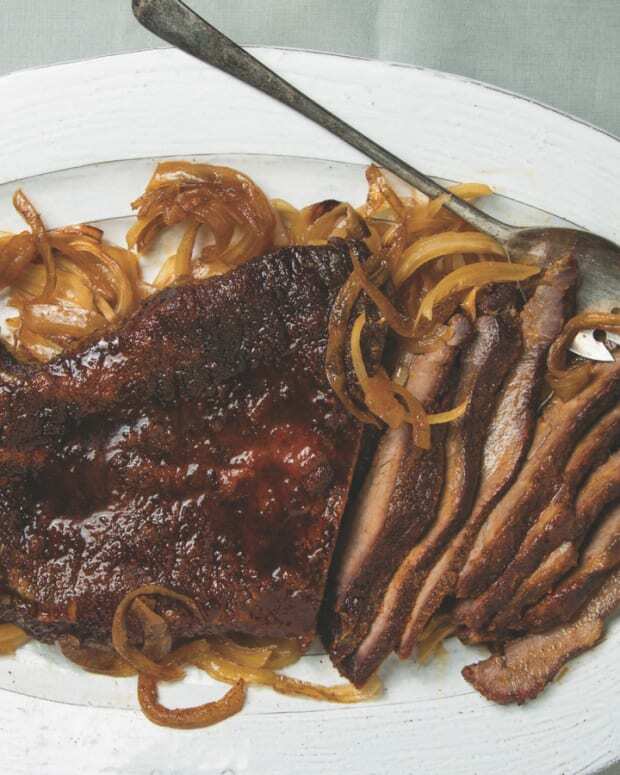 Place brisket into pan of sauteed onions, pour sauce over brisket and cover pan tightly with foil. Braise at 300°F for 3 hours until a fork can be inserted and removed with no resistance. Cool brisket before slicing. 8. Strain fat off of braising liquid. 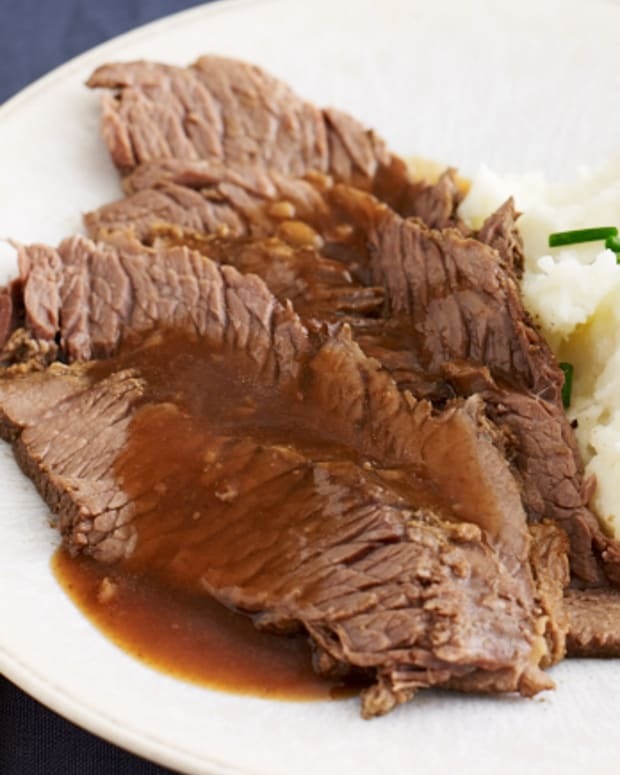 Slice brisket and drizzle braising liquid over brisket slices before serving. Top with pistachio mint gremolata.